Diabetes is a disease that affects increasing numbers of people in developed countries where obesity, lack of exercise and genetics are causing epidemic levels of the condition. Simplistically, the pancreas becomes unable to manage blood sugar levels as it (usually) can't to produce the right amount of insulin. 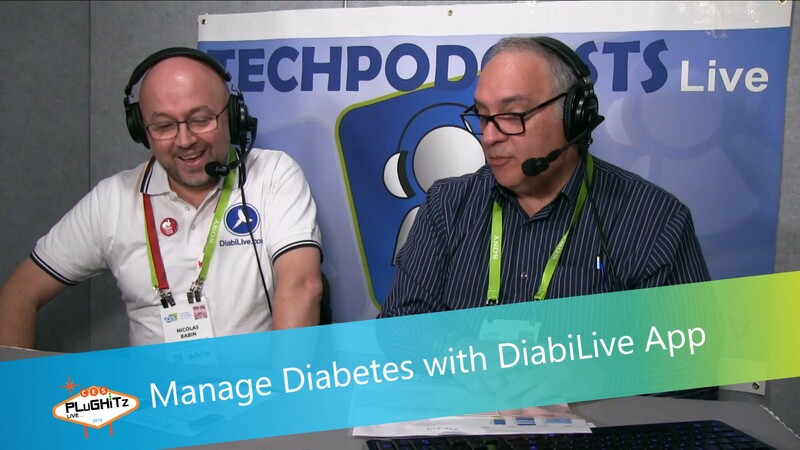 Don and Nicholas discuss the problems facing diabetics and how DiabiLive's new app can help manage the disease. Winner of a CES Innovation Award, DiabiLive have a developed a smartphone app which calculates the correct amount of insulin to inject based on three parameters (physical activity, diet, sugar level). In addition, the app plans ahead based on past history to warn of possible low sugar levels. The app's algorithms are based on medical science and protocols: the app is awaiting FDA approval, hopefully within 2018.